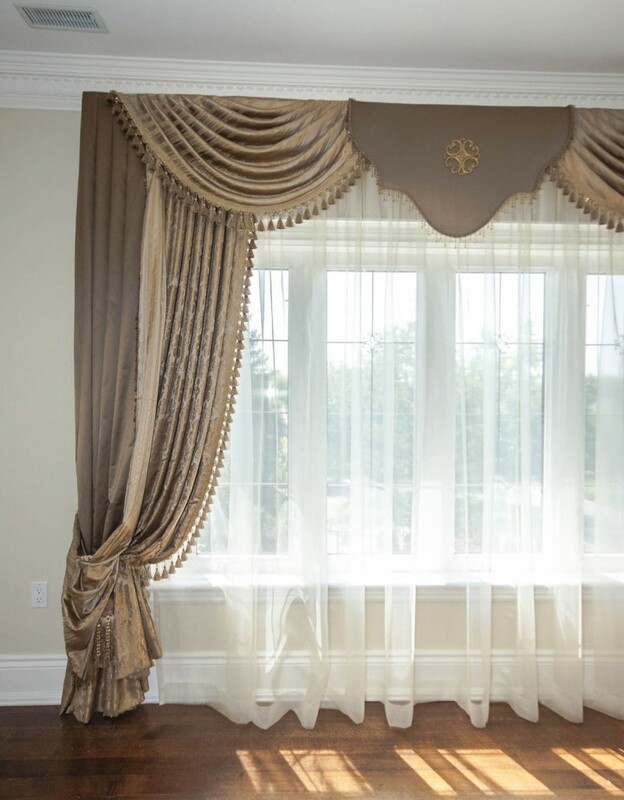 Tailor-made for the window and color match to your interior, traditional draperies are certain to create a timeless feel in the room. 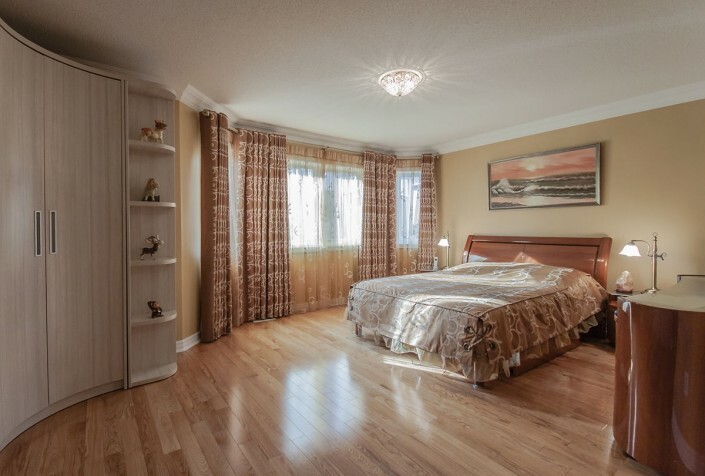 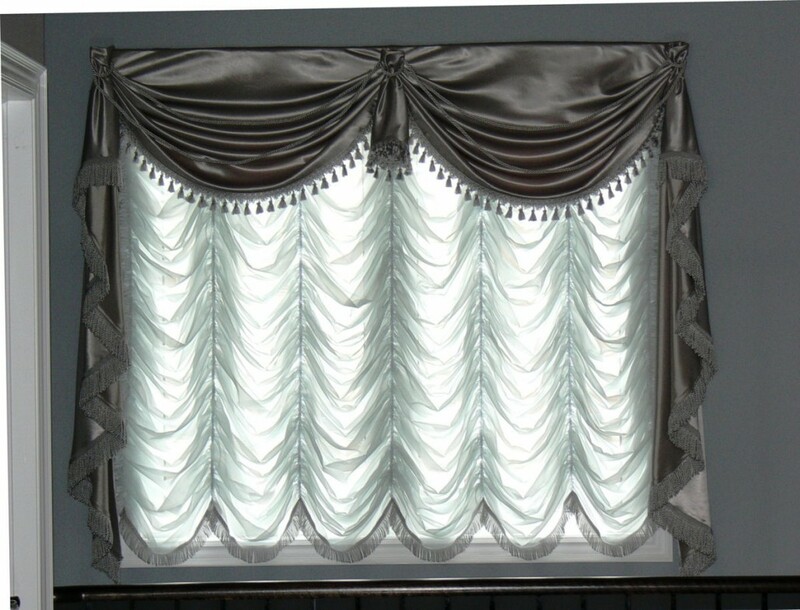 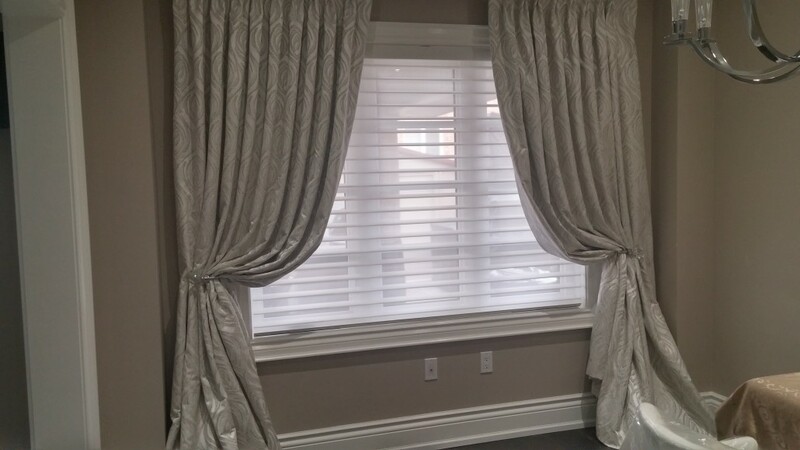 Sheers, Swags, Tails (Jabots), Valances and Pelmets are classic elements of traditional-style window furnishings. 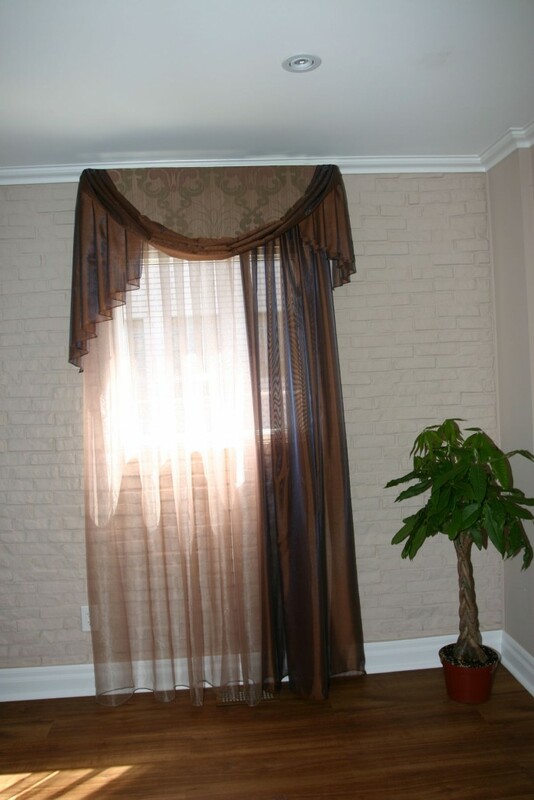 Mixing drapery panels with sheers offers an exquisite, layered look combined with warmth and coziness. 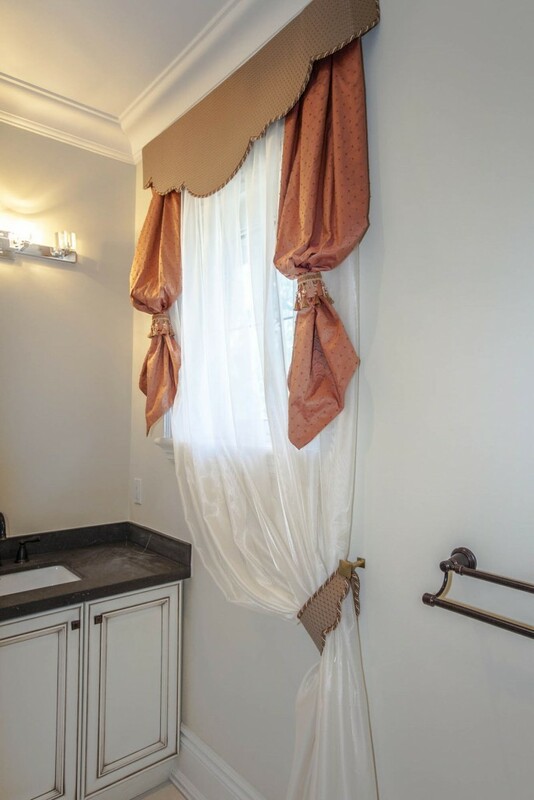 In addition, sheers let the light flood into the room while obscuring the view, so they are a perfect solution when privacy is required. 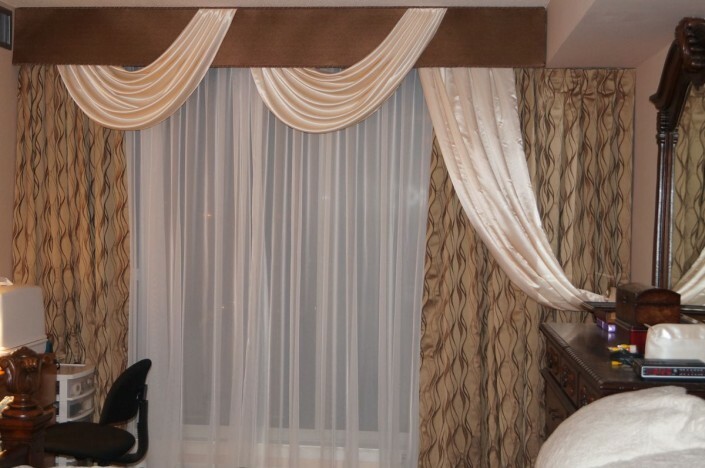 Swags and Tails are the ultimate in elegant top treatments. 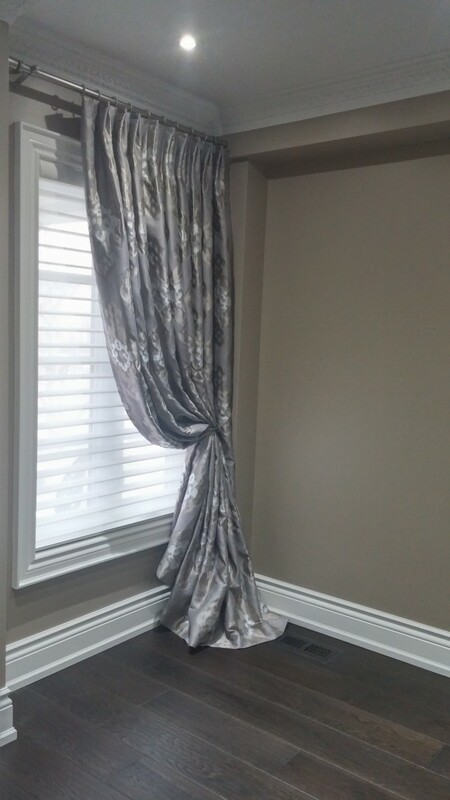 A classic swag is a scoop of fabric that hangs in gentle pleats, with an optional tail – a hanging trail of fabric that cascades down the curtain. 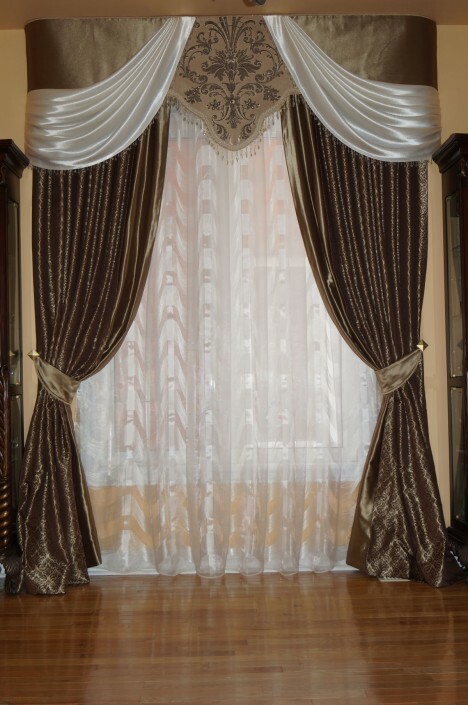 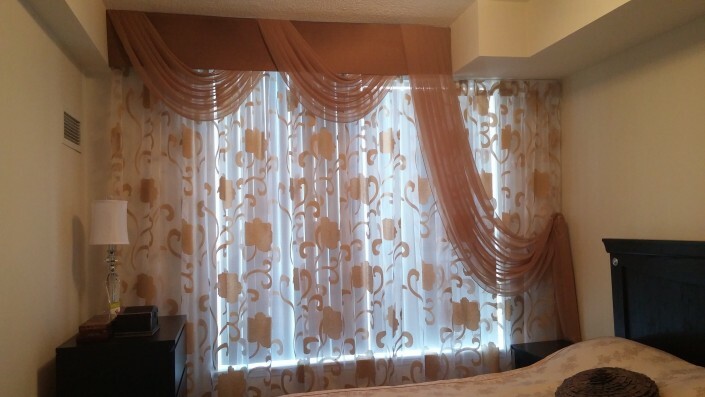 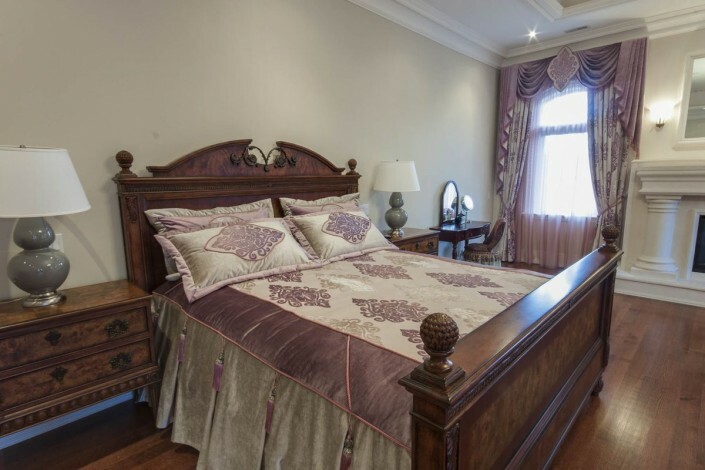 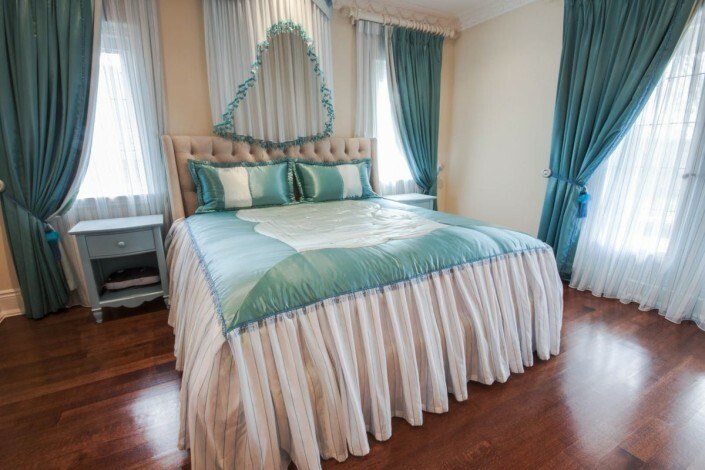 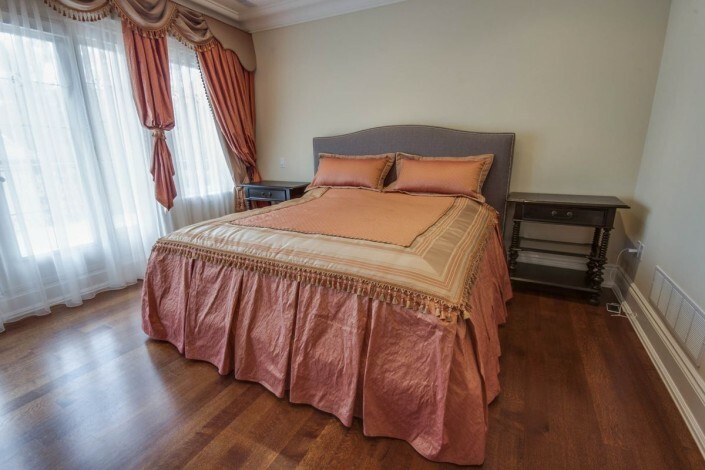 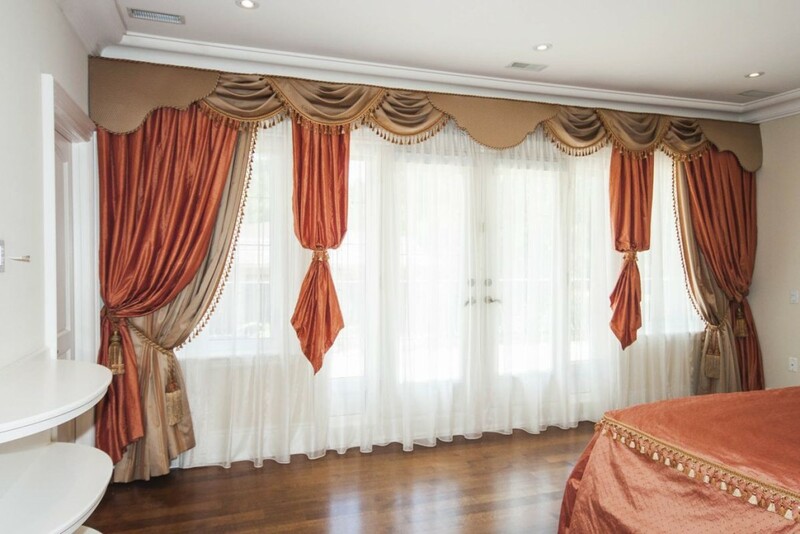 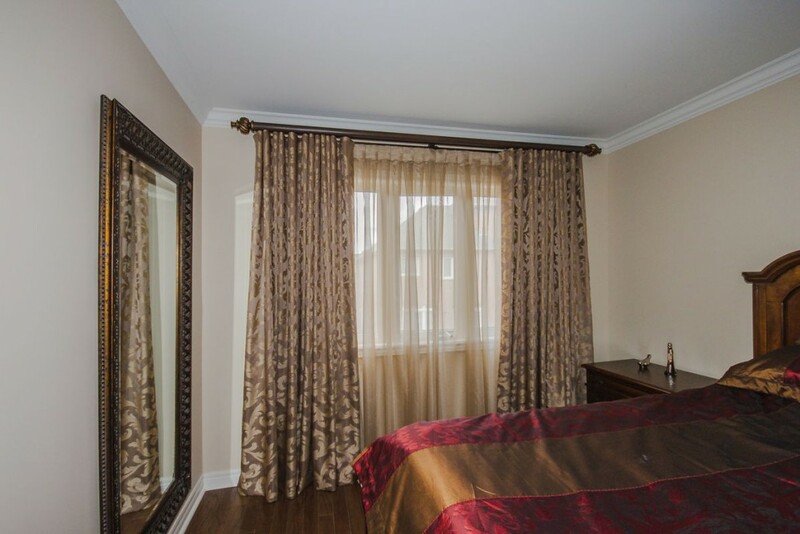 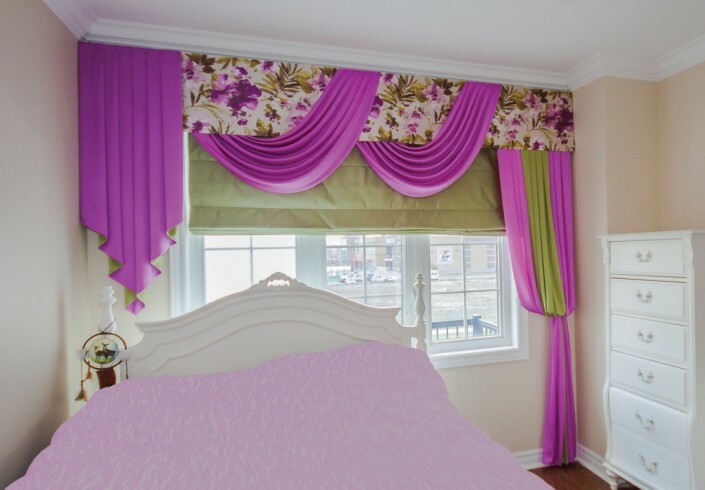 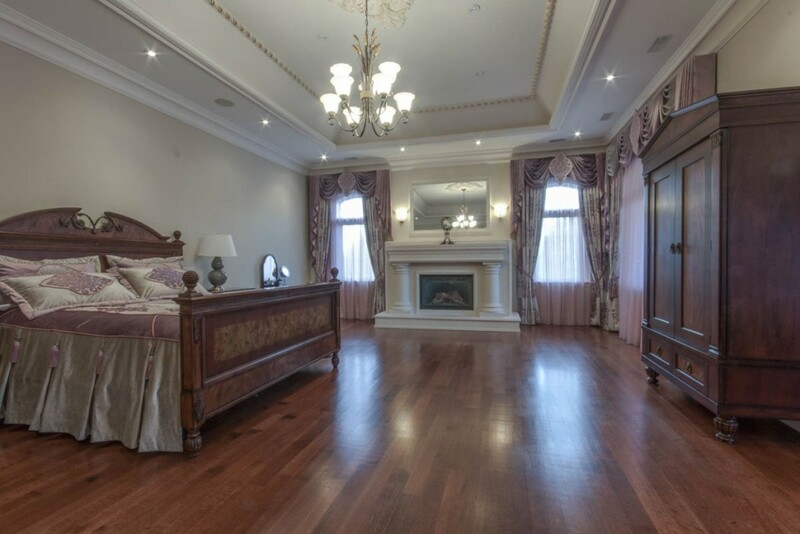 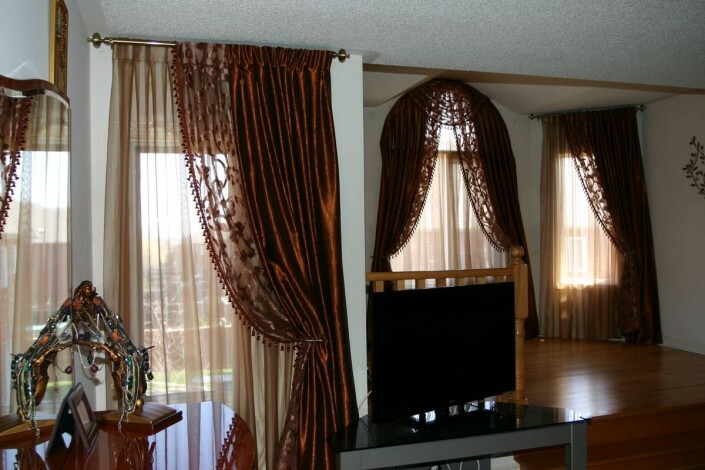 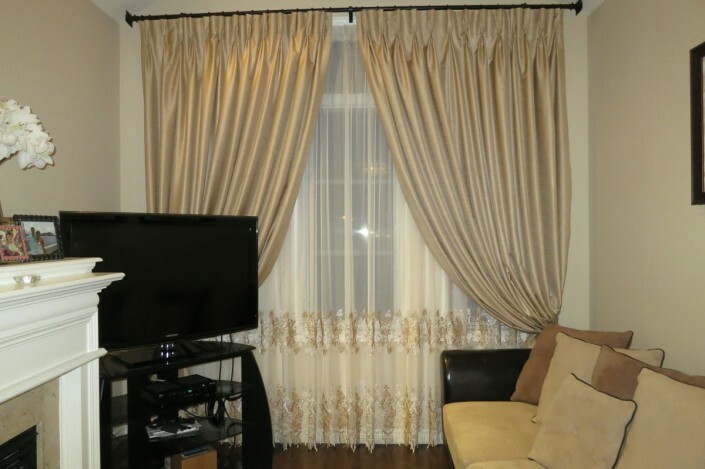 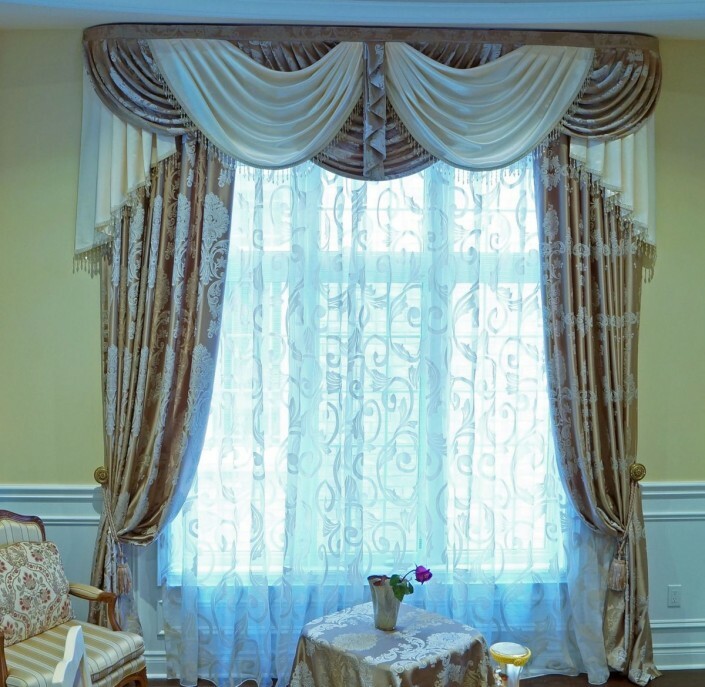 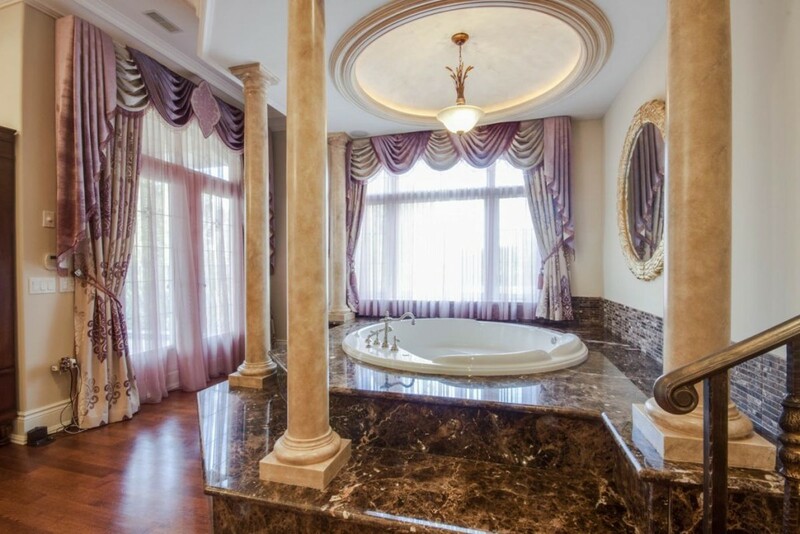 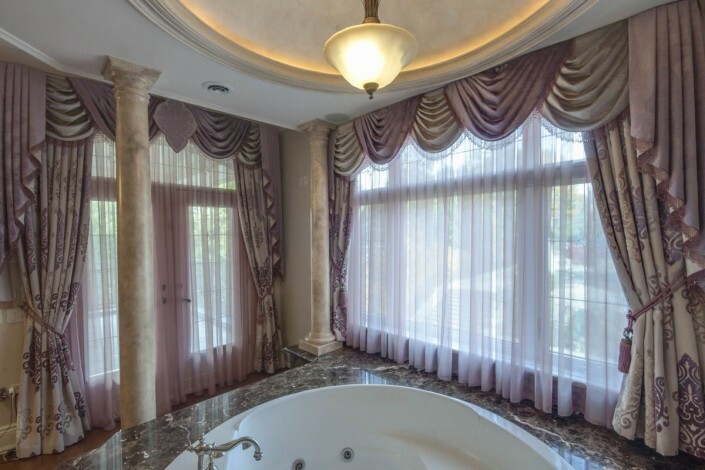 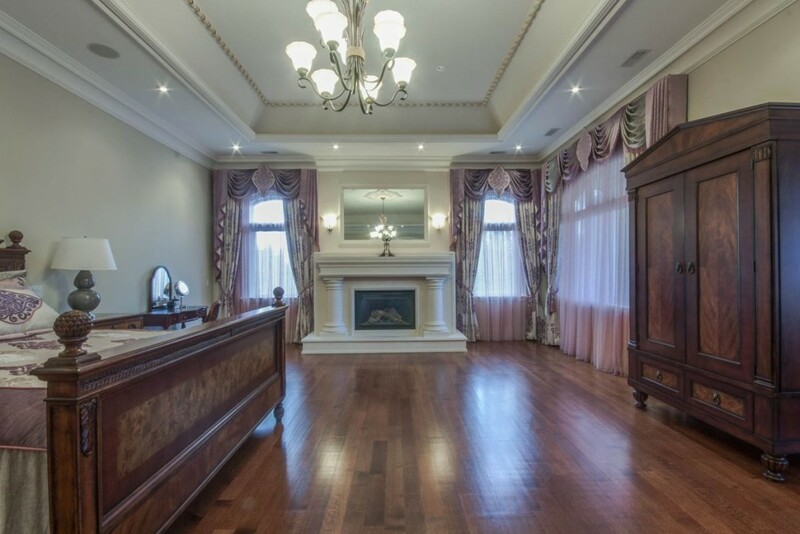 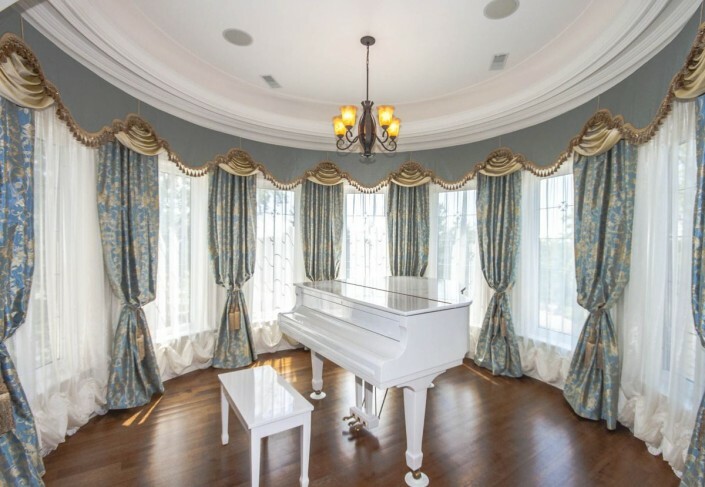 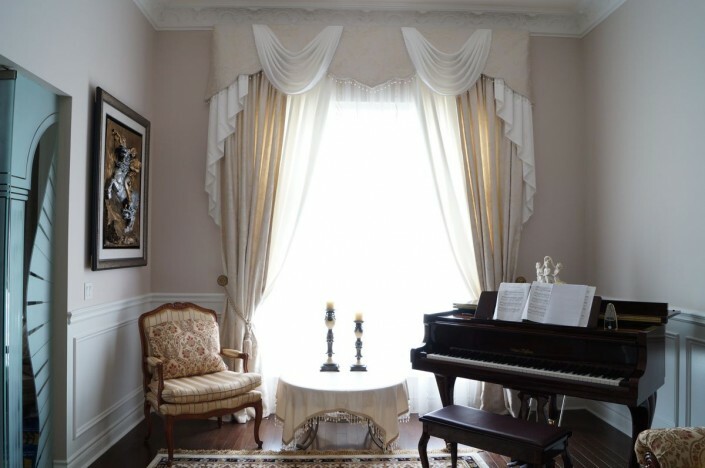 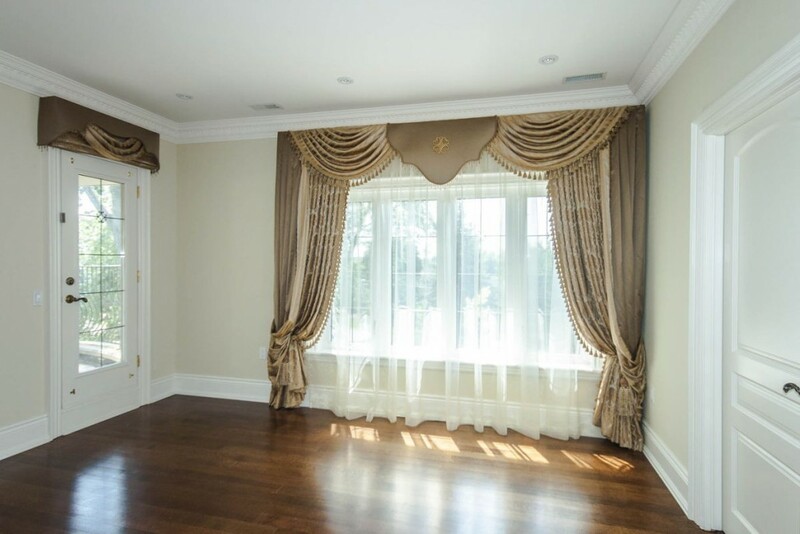 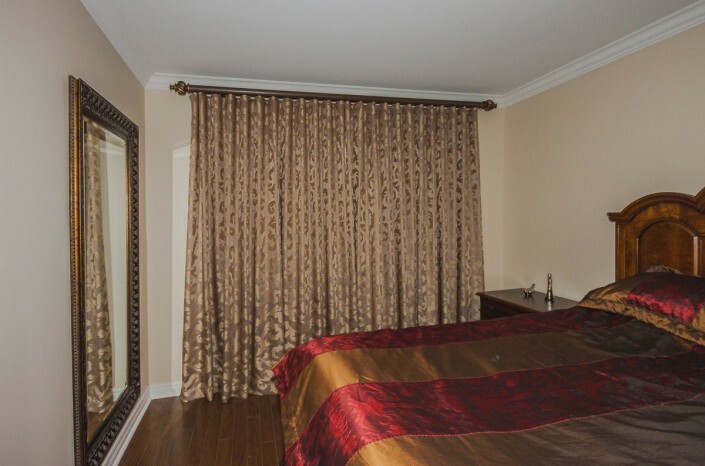 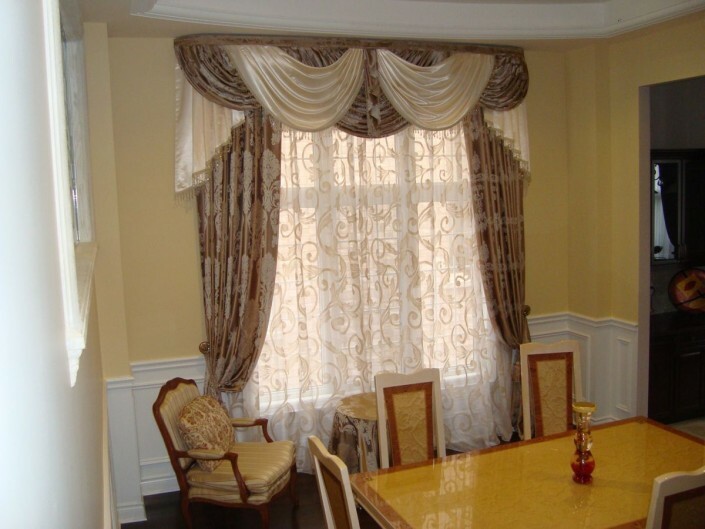 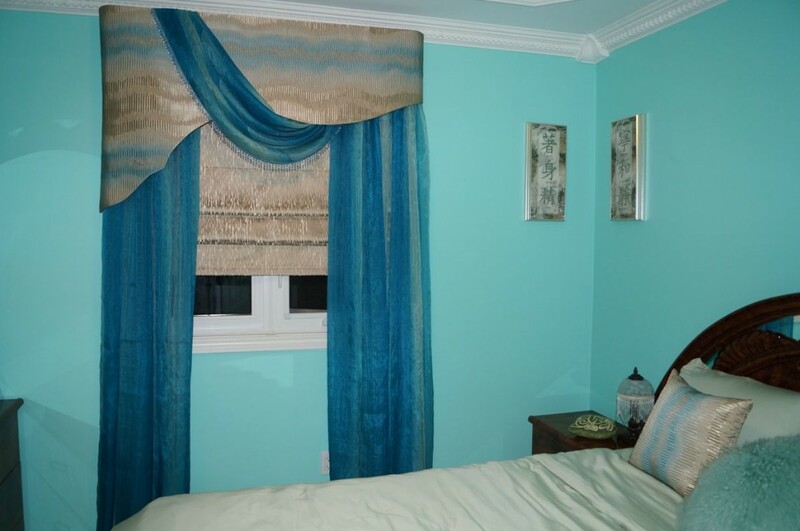 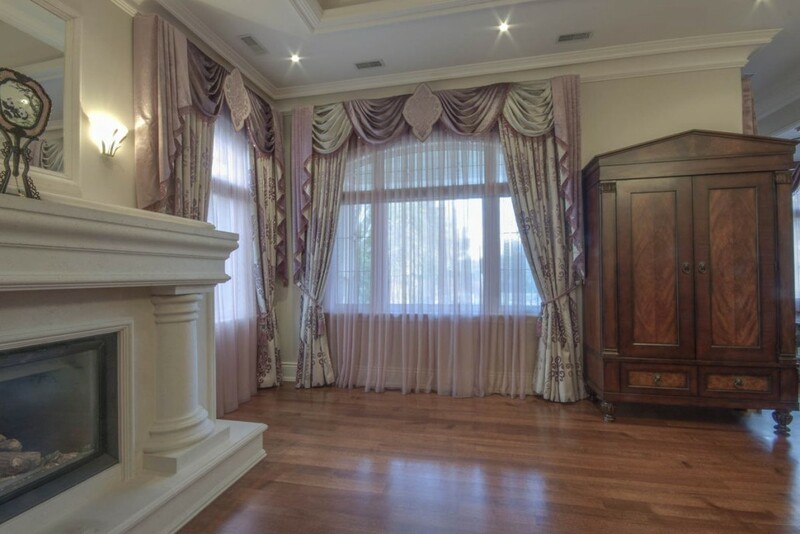 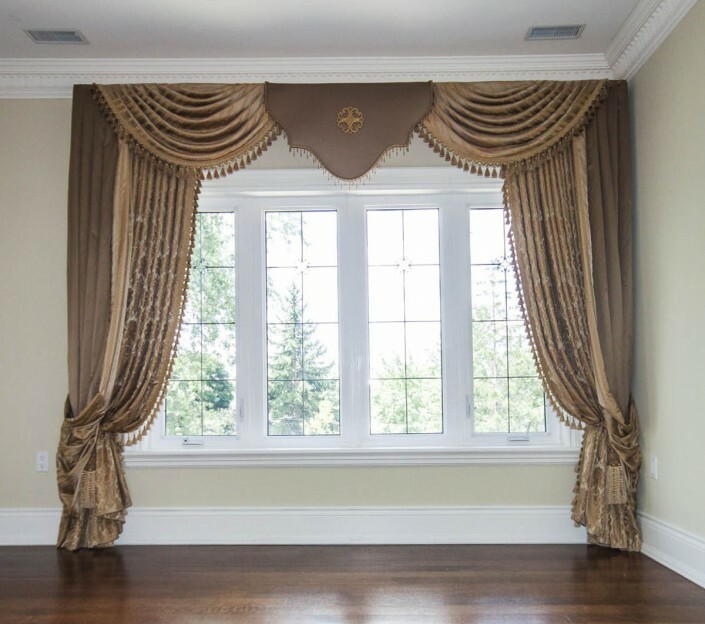 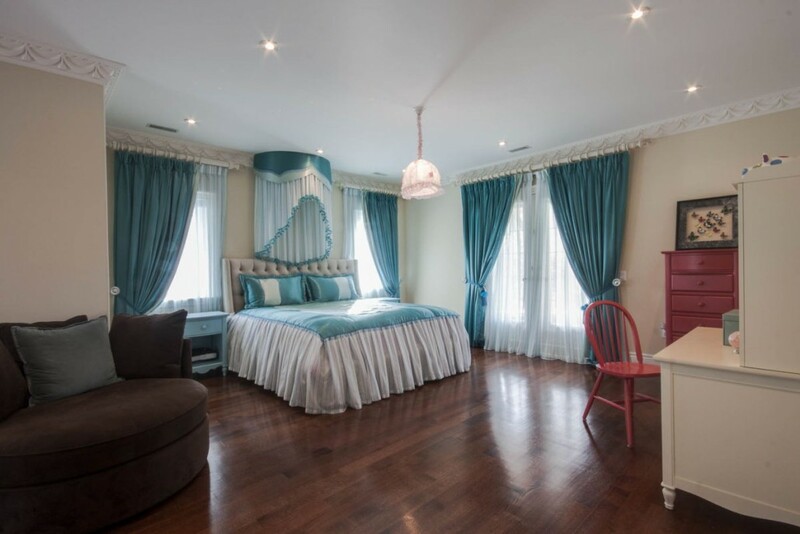 Valances are a vital part of any classic drapery. 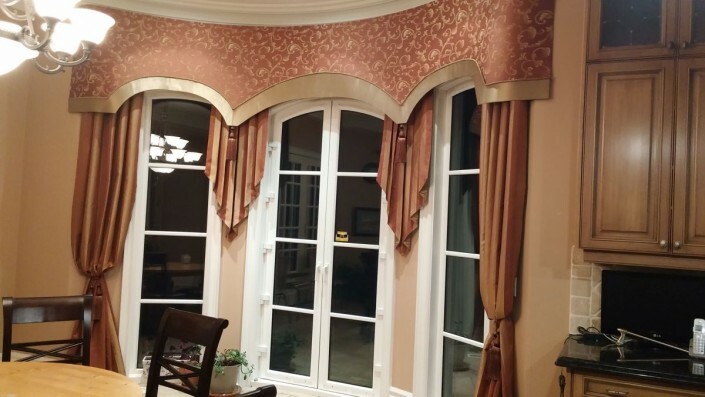 Besides creating a softer, fuller effect valances can visually correct disproportioned windows. 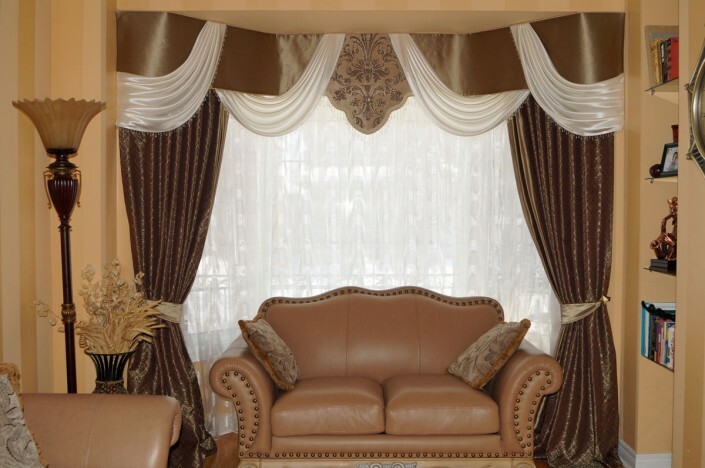 Pelmets are elements of traditional window treatments updated with a modern, designer look. They are an ultimate topper for any type of window covering, whether it is window shades, draperies, sheer curtains or blinds. 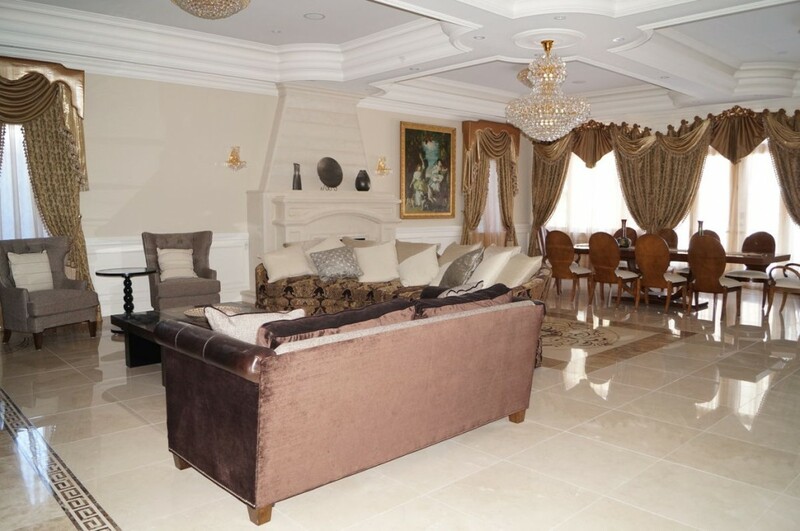 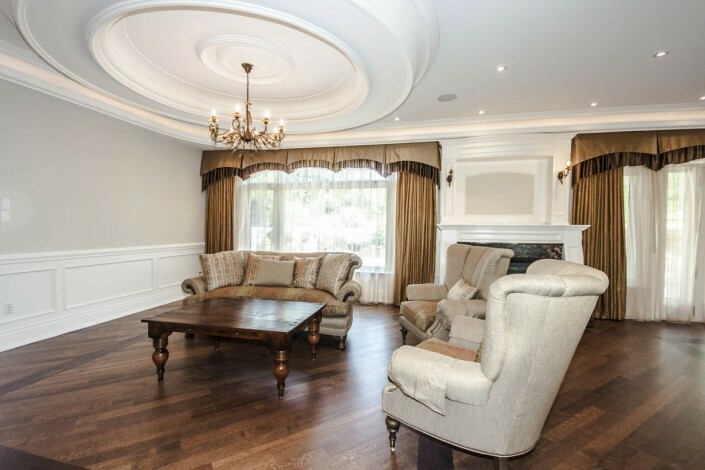 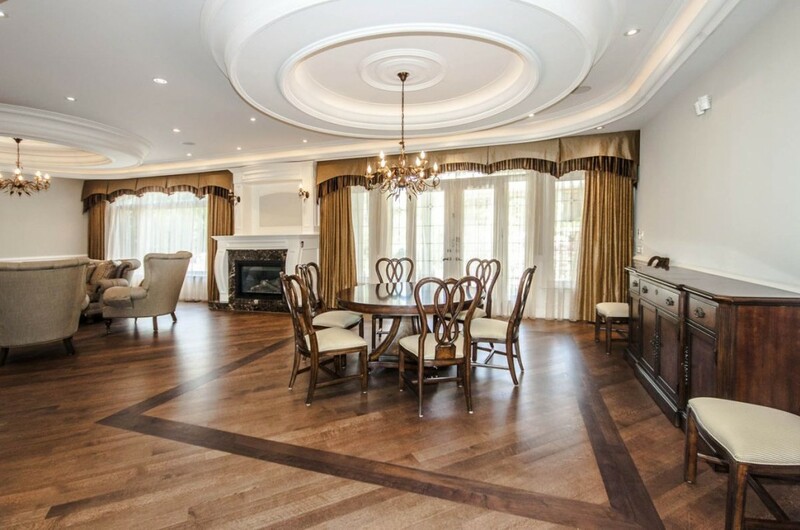 Functional and attractive, pelmets create the look of architectural molding above the windows. From laid-back to luxurious, draperies are key in setting the tone of any room. 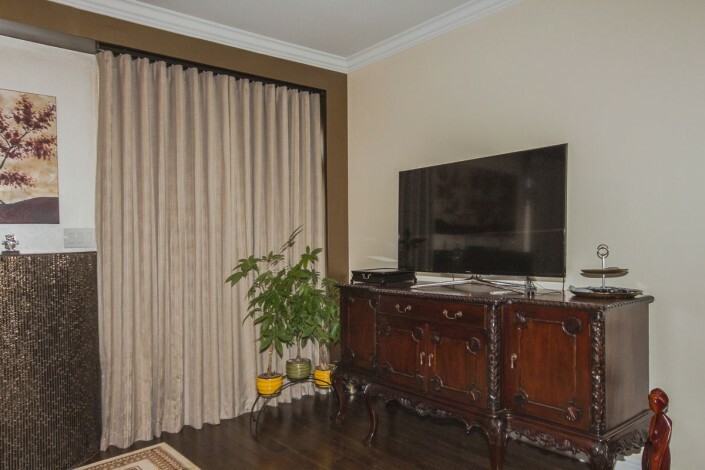 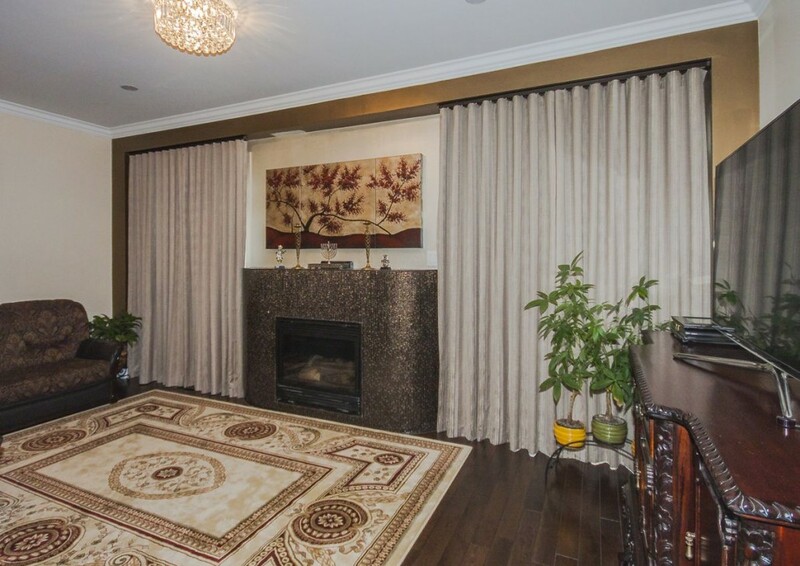 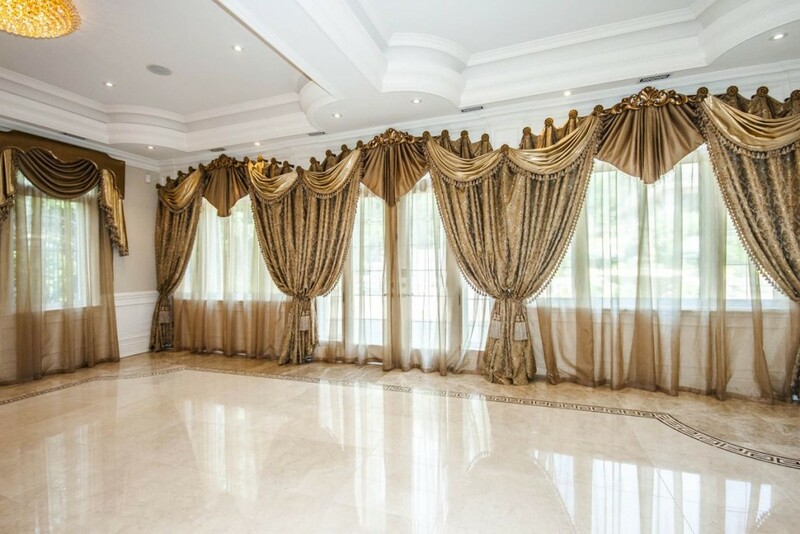 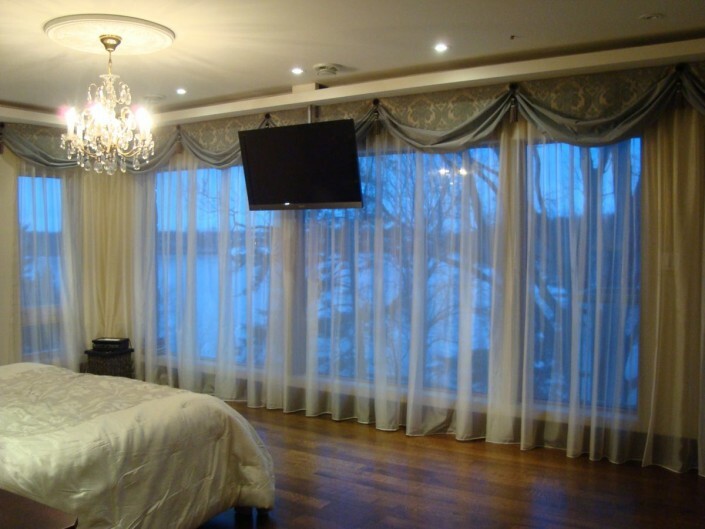 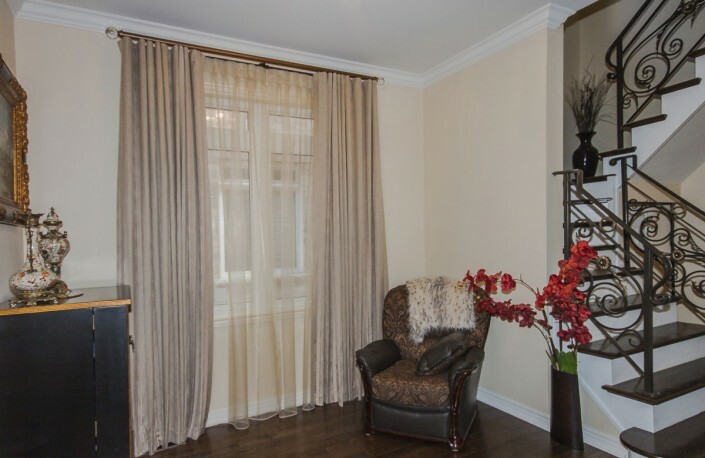 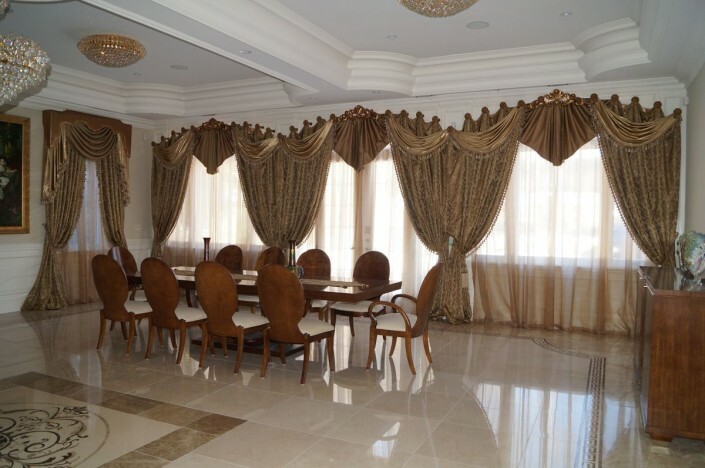 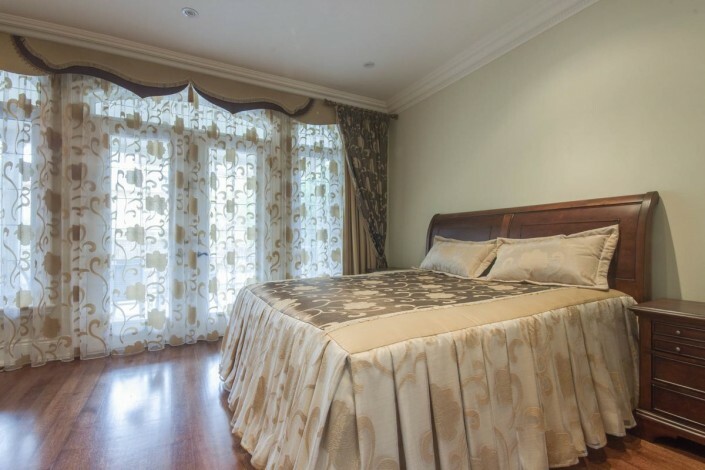 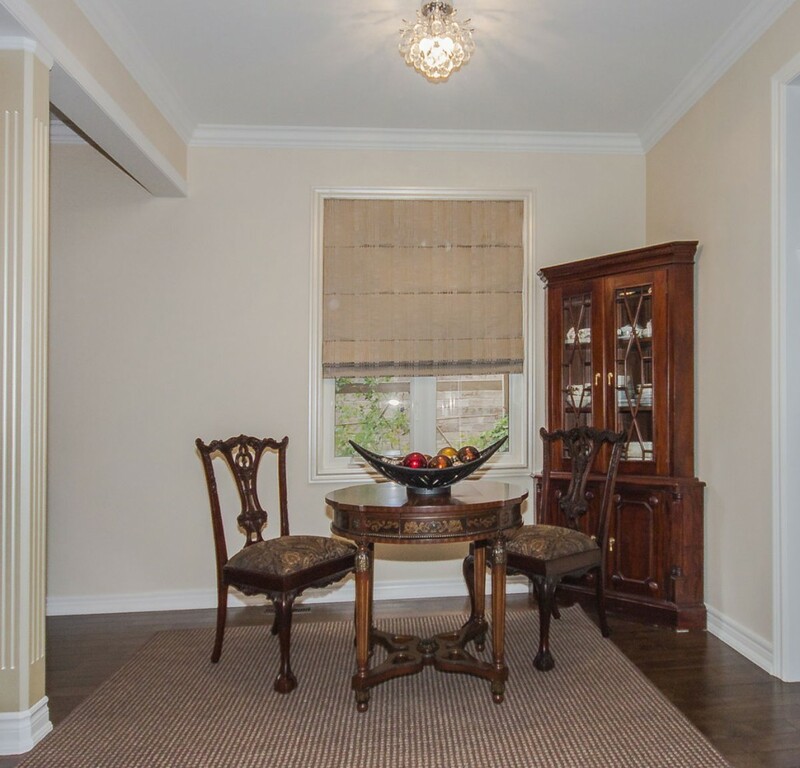 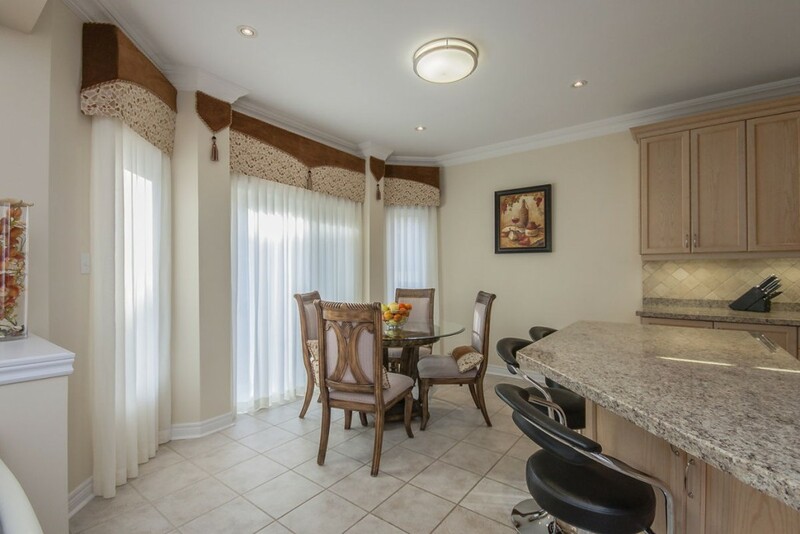 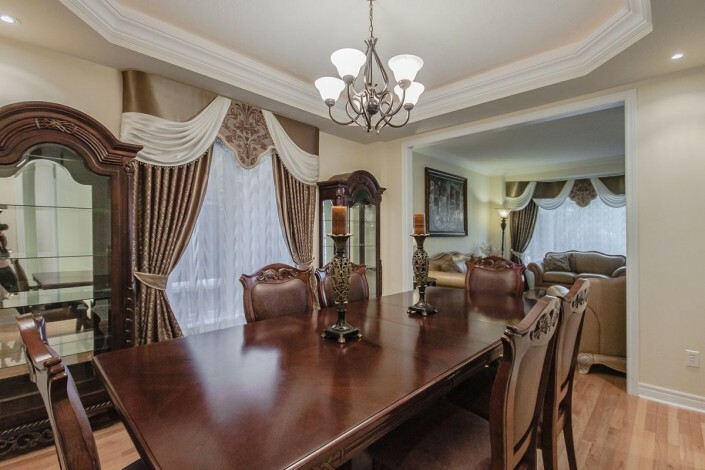 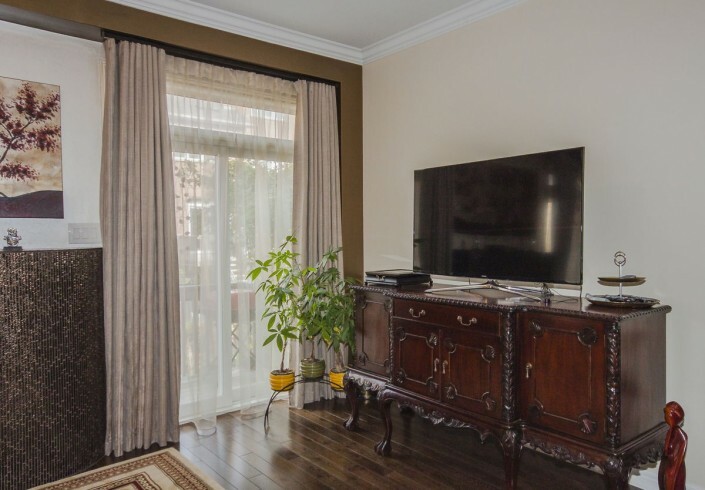 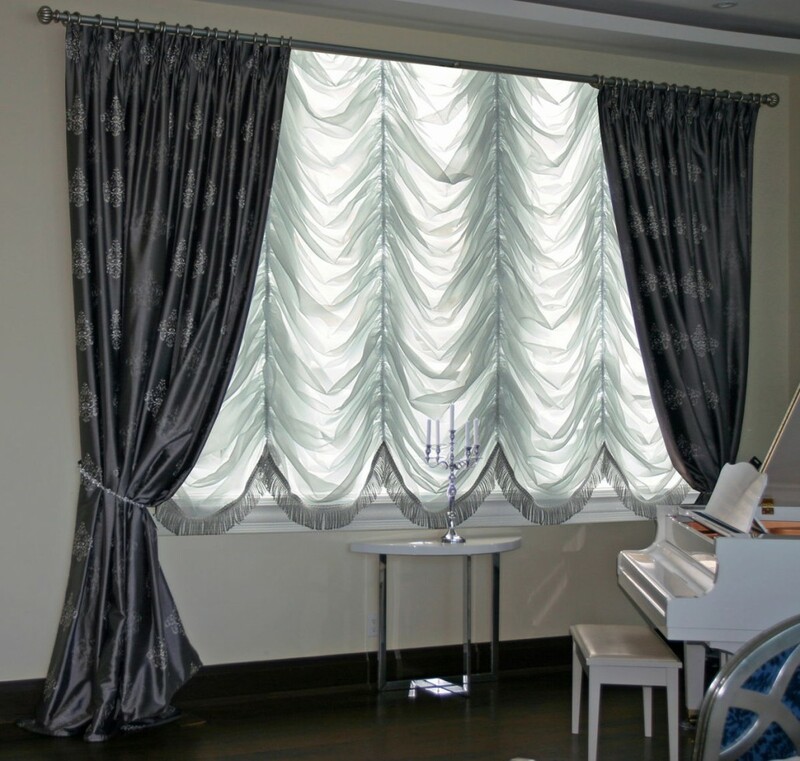 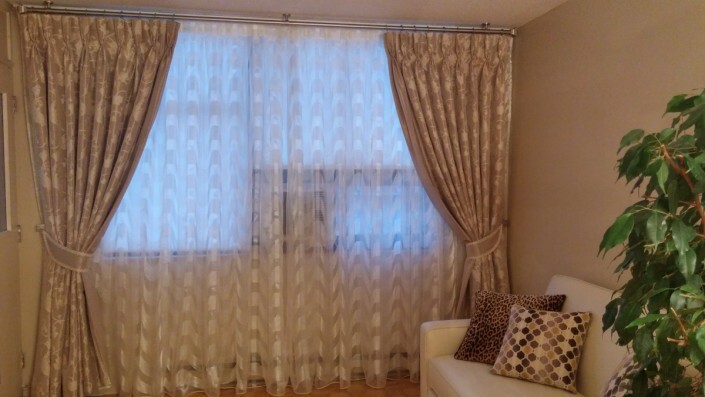 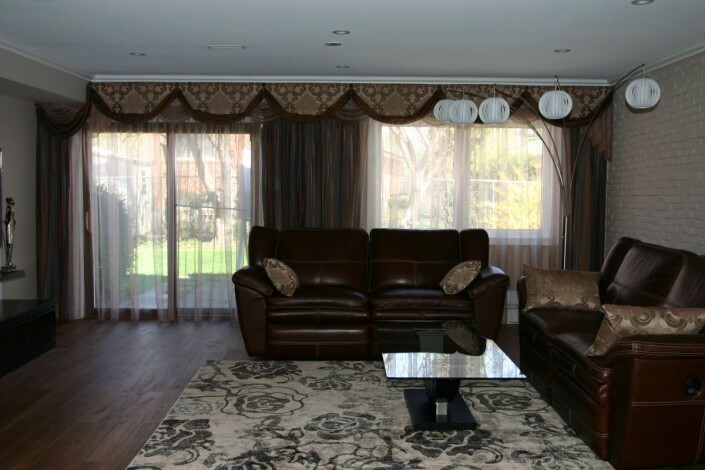 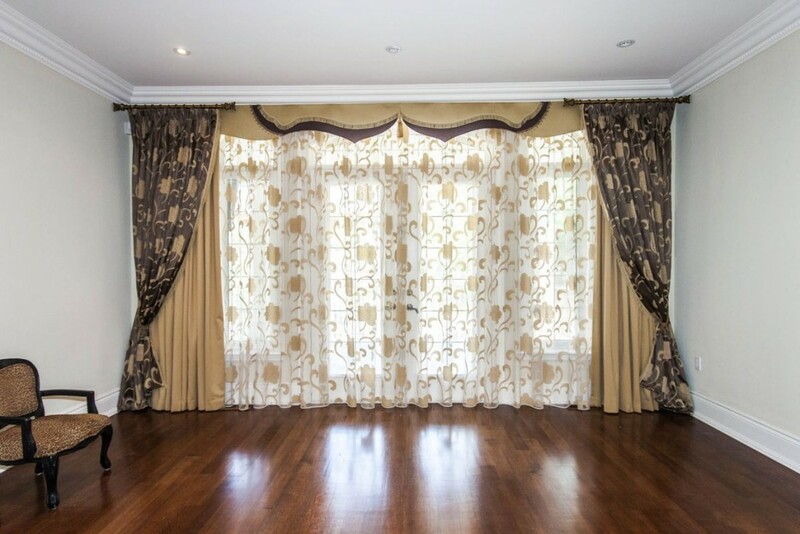 Ready to discuss custom window treatments for your home? 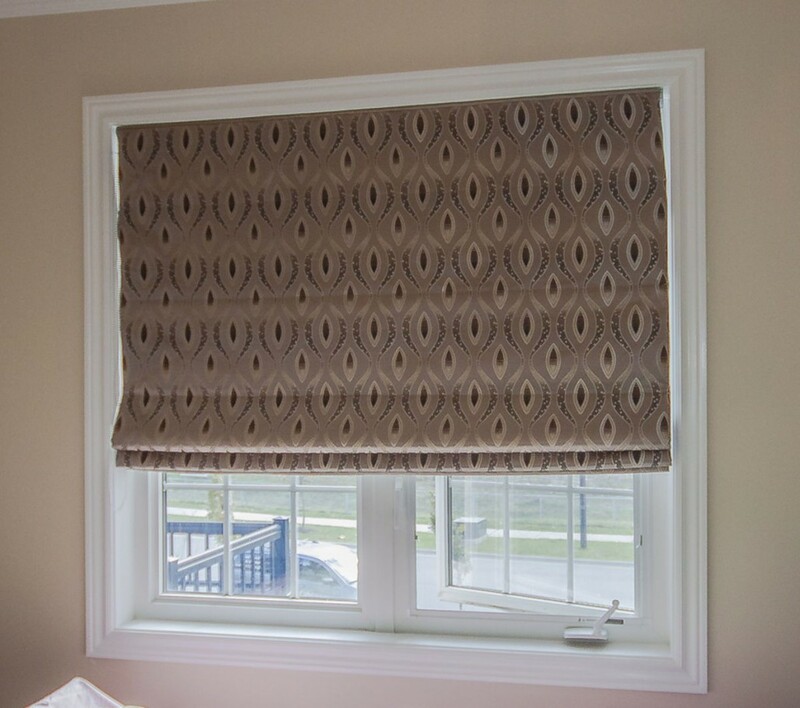 Contact us to schedule a consultation with Window Fashions Certified Designer.